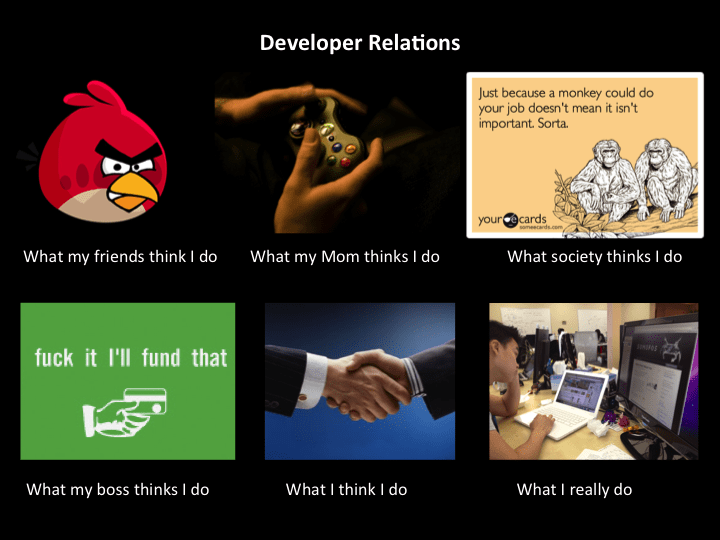 These have to be made by developers is all I can say because these what I really do memes always seem to hit it on the head. My friends think I develop angry birds and my mom thinks I play games all day. Low and behold you actually develop all day busting your brains to make deadlines. Oh well.